Instead of going out to dinner, buy good food. Cooking at home show such affection. In a bad economy, it’s more important to make yourself feel good. When I was out and about and I managed to pick up some Rainbow Meadow Farms ground beef and a pound of apple wood smoked bacon and meatloaf was the first thing that came to mind for a homey Sunday dinner on a cool fall day. A previously posted easy recipe for Harlem Meatloaf as noted below is a favorite around here and this time I added some ground lamb to the mix and then of course added the bacon on the top (maybe next time just chop some of it and blend in some to the mixture)…Oh it smells so good around here. Someone wants mashed potatoes, but I’m going for the James River Corn pudding and will make that as well…What a great Sunday dinner! Break the beef and the sausage into golf-ball sized chunks. In a second bowl, combine the 1/2 cup of the ketchup, 1 tablespoon Worcestershire sauce and 2 teaspoons Tabasco sauce and pour evenly over the beef and sausage mix. In the same small bowl, combine the pickle, onion, garlic and parsley, and pour evenly over the beef and sausage. Sprinkle the breadcrumbs over the top, and then add the egg and the salt. Spread your fingers wide apart and gently mix the ingredient together – it should take 6 to 8 gathering motions to blend the mixture together. Transfer the mixture to a 9×13 pan and pat it into a loaf shape. Put in the preheated oven and bake for 35 minutes. While the meat loaf is cooking, mix together the remaining 1/4 cup ketchup, 2 teaspoons Worcestershire and 1 teaspoon Tabasco together. 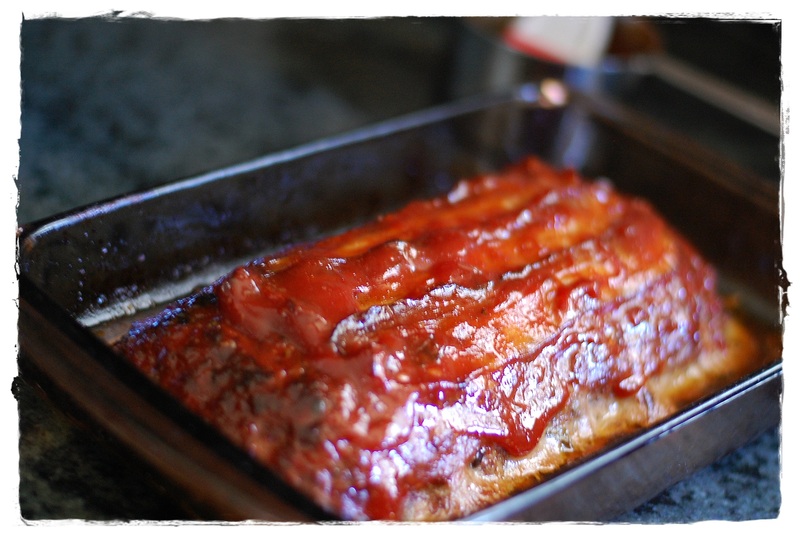 After the meat loaf has cooked for 35 minutes, brush the ketchup mixture over the loaf. Continue to bake until the glaze stiffens and darkens, about 15 minutes. 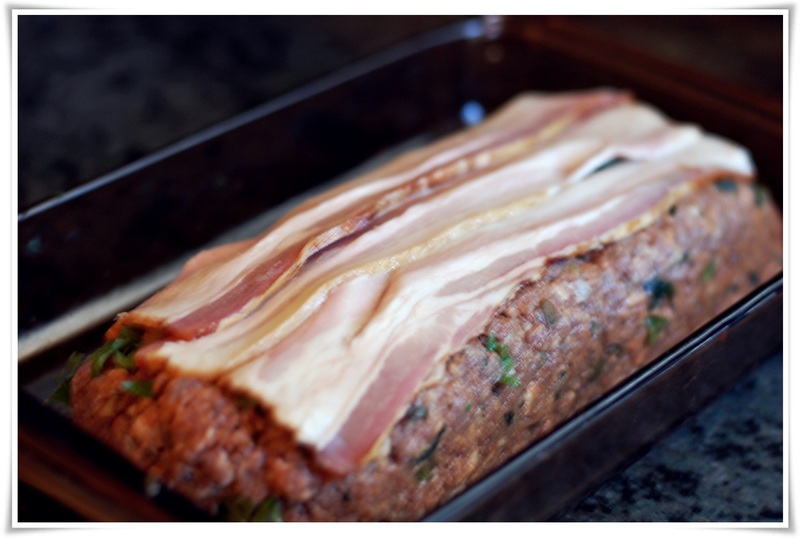 Let the meat loaf rest 10 minutes before cutting. Preheat oven to 400° degrees. Butter a 1 1/2 quart casserole and set aside. Place a kettle of water over high heat to bring to a boil. Place beaten eggs in a bowl and set aside. In a medium saucepan over medium heat, melt 2 tablespoons butter and whisk in flour until smooth. Add milk and whisk constantly until thickened, about 5 minutes. While whisking vigorously, slowly add about 1 cup hot milk mixture into eggs. Return saucepan to medium-low heat, and whisk egg mixture back into remaining milk mixture. Stir 1 minute (do not boil), then remove from heat and add corn, salt and pepper. Pour corn mixture into casserole, and set in a shallow baking pan. Pour boiling water into pan to come halfway up sides of casserole. Bake until set like custard, 25 to 40 minutes depending on shape and depth of casserole. Cool for 10 minutes, and then serve. Posted on October 19, 2014 February 28, 2015 by ibbeachnanaPosted in MeatloafTagged Harlem Meatloaf.